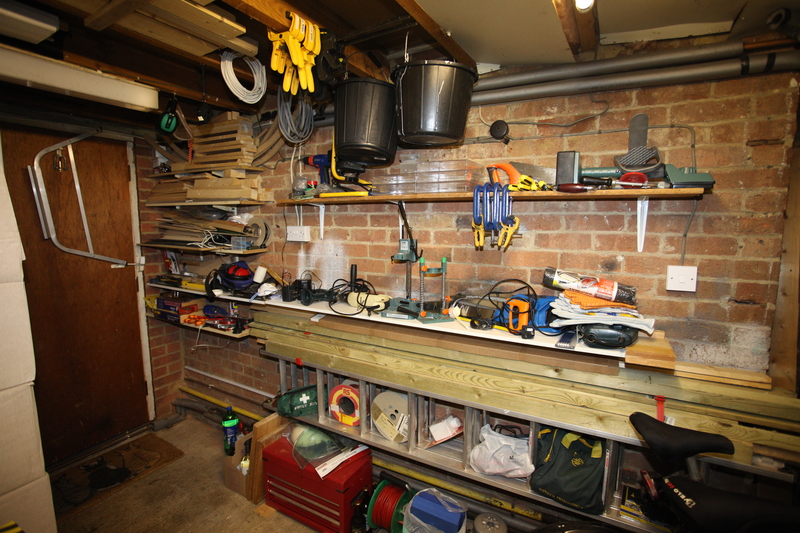 I suspect I’m not alone in thinking that given the time and money I’ve spent building up my workshop over again I might do things differently. 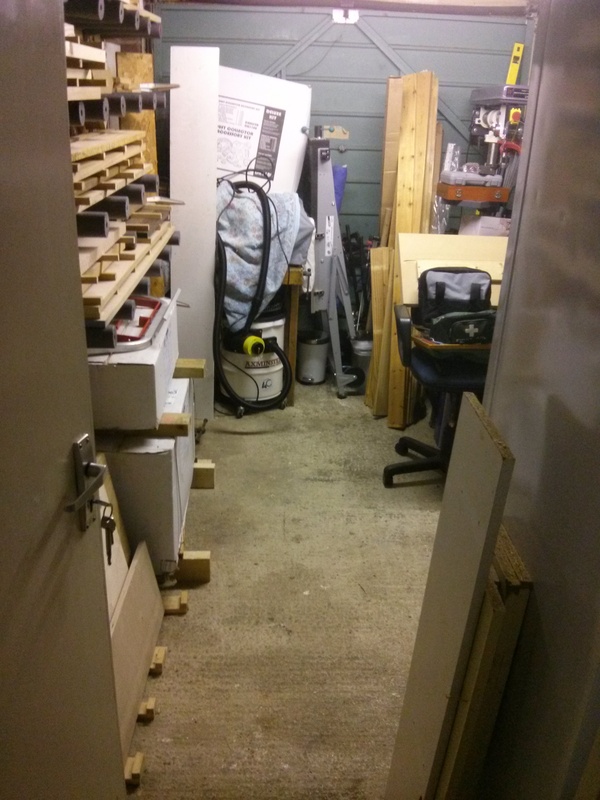 My workshop started taking shape in January 2012 and has steadily improved since then. 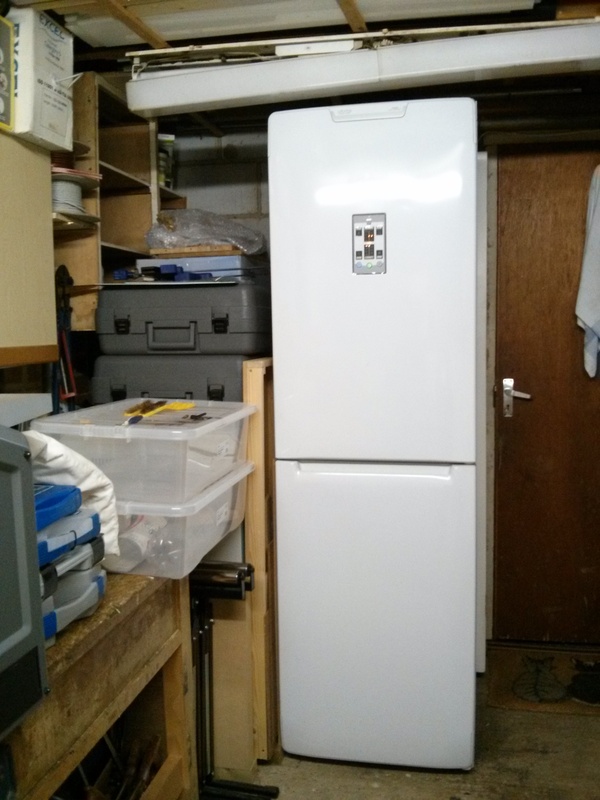 There’s still a long way to go, and I fear one of the next steps will be to empty it, insulate & rewire it and start laying it out again from scratch. The most realistic things I’d try to do given my time over again is to get a proper workbench and vice into the workshop a lot earlier than I did and maybe paint the walls. Until recently I’d used very little of it (indeed the Lathe is still in its box and I have no turning tools yet), but I don’t think I’ve made any bad choices. I’ve arguably over spent on some (Tormek and Jet) and underspent on others (SIP and Charnwood), but I think that reflects the way I see myself going in future. I don’t think I’d be any better off (certainly not in a financial sense!) if I’d bought the other two machines I was considering (the Axminster AW106PT2 and the Jet JWBS 14Q). I’d certainly have less room in my single garage workshop with a floor standing planer thicknesser, and at 300m³/hr my vacuum extractor would be massively underpowered for it too. 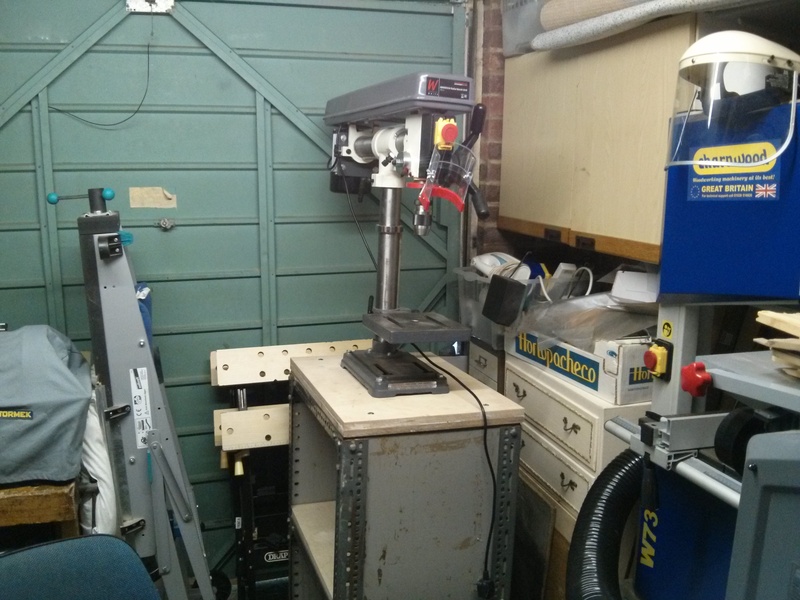 I might change the order of purchases, given my time over again – perhaps I’d buy a bandsaw first, or maybe I could have jumped straight into woodturning and bought a lathe first, but I don’t think I’d end up with a different set of machines in the end. The big question is whether I should have bought the machines so long before I actually needed them for a project – I probably shouldn’t. You may be picking up a theme here, but I also bought a lot of tools – both new and used – before starting a single project, and I continue to add. I think this says a lot about the way I think – when I started doing DIY projects I was often limited by a lack of the correct tools and the quality of the projects I was doing suffered as a result. At the time I was also limited by lack of funds and some of my motivation for stocking up in this way is to stockpile tools and materials against a return to limited resources and more free time (either through unemployment or eventual retirement). There’s also an element of the collector in me – having bought a couple of Stanley Bailey planes in a bric-a-brac shop I suddenly wanted “a set” from No.3 to No. 7 at least. Again I should really only have bought tools as I needed them. Power tools – I’ve had my small Bosch circular saw for ages, but I should have bought a finer blade for it and used a zero clearance insert more. I shouldn’t have bothered buying several of my power tools such as the heat gun, angle grinder etc until I needed them and instead should have bought a decent Li-ion combi drill sooner, as having a ready charged drill to hand at all times is a great boon. The only projects I’ve really needed to do have been the bi-fold door and the router table (in order to make some replacement tongue & groove floorboards for my house). I think I should definitely have started working on some simpler projects earlier and got a few successes under my belt before I spent money on tools for more advanced projects. The workshop projects have given me a sense of achievement and helped me unwind, which is my main aim with this hobby. I’ve also got something tangible that I can look at in 5-10 years time and think “I did that” – something that is largely lacking from my day job. This entry was posted in Hand tools, Jigs Fixtures & Appliances, Machinery, Power tools, Projects, Purchases, Setting up shop, Tools, Workbenches, Workshop and tagged minimal workshop, minimum machinery, order of purchases, setting up, single garage, single garage workshop, woodwork, woodworking, Workshop. Bookmark the permalink. My 16′ x 9′ shed has evolved over time into what I have now. I am constantly pulling things out & re-configuring. I would dearly love to have a custom built workshop, and free financial reign to fill it with tools, but sadly that is never likely to be the case.